Montreal-via-Vancouver rock freak Johnny de Courcy is a man of many talents. After shredding out solos in Black Wizard for years, he's since released a handful of fantastic pop songs as a solo artist, including this year's excellent EP The Master Manipulator. When he's not playing music, he moonlights as a screenprinting champion with his Pinhole company. As if that weren't enough, his latest entrepreneurial concern is, apparently, baking some sourdough raisin bread. The artist posted the above image on his Facebook, explaining that he'll be selling hot loaves out of his studio later today (August 14). 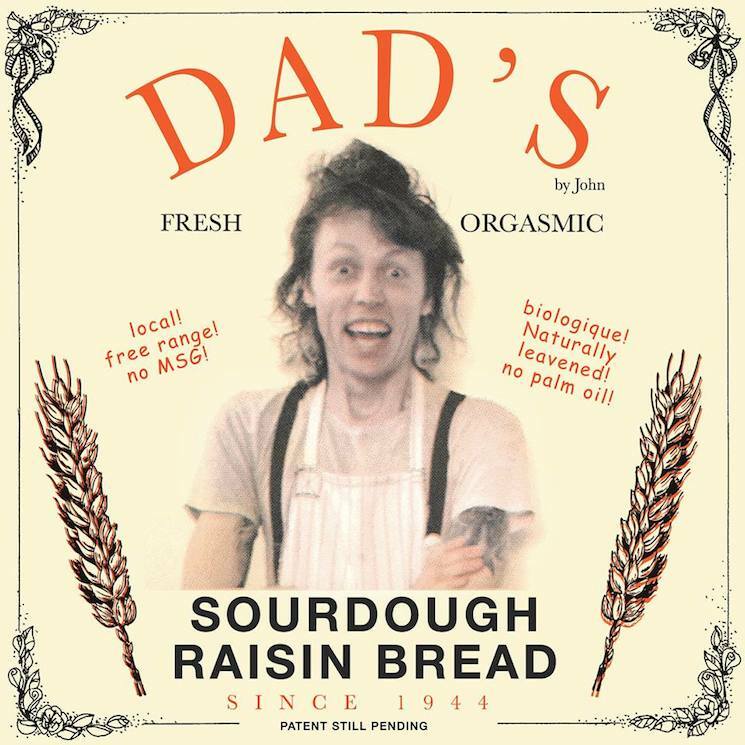 The bread has been given the name Dad's by John, and is billed as both "fresh and orgasmic." JDC also listed the ingredients for his magical raisin bread recipe. It includes "whole grain flour (1/3 whole wheat 1/3 kamut 1/3 spelt), sea salt, water, rasins, honey (just a little bit to balance! ), sourdough starter (from dad)." Further, he promises that "even if you hate my songs, you'll LOVE my bread!" If you live in Montreal and hope to carb-load before the weekend, you can find more information on the bready goodness on de Courcy's Facebook post.